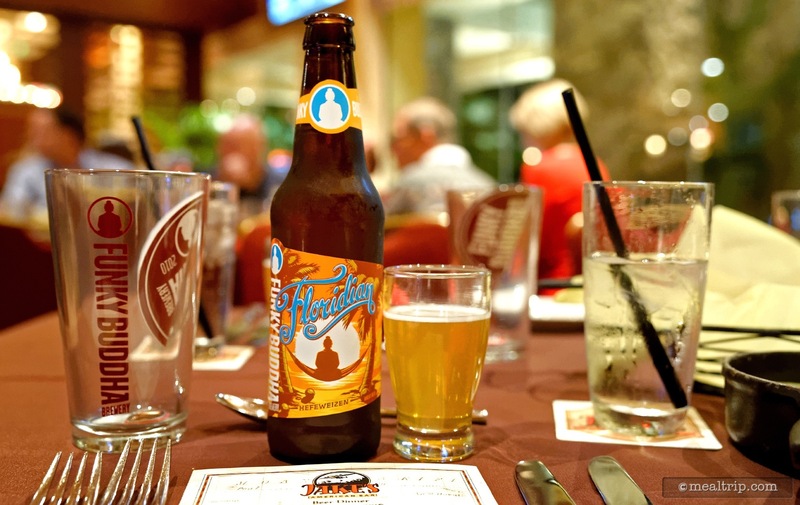 Jakes Beer Dinner is a multi-course beer and food pairing event held multiple times a year at Jake's American Bar at the Loews Royal Pacific Resort, which is adjacent to Universal, Orlando. Each event highlights a specific brewery's creations paired with food over the span of a couple hours. The event is limited to around 60 guests (our best guess, just by counting heads) and takes place in the private Clipper Room at Jake's. 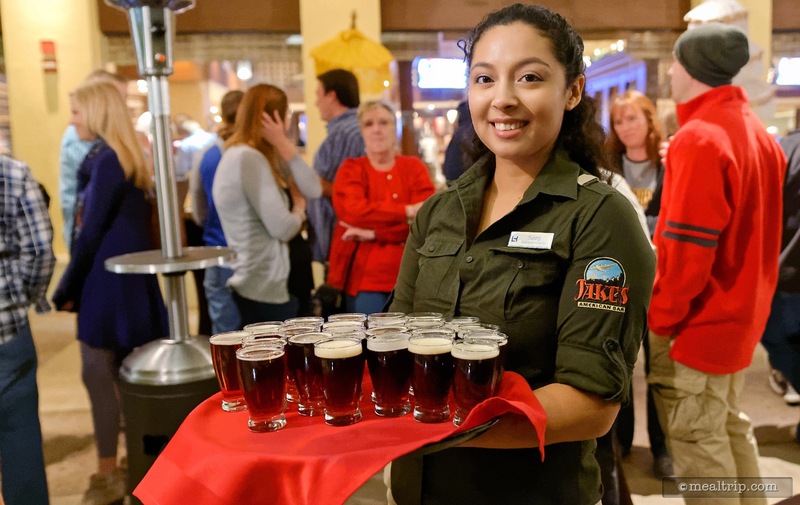 In addition to pairing a specific beer's characteristics to a food item (which range in size from small to medium sized portions), the chefs at Jakes occasionally infuse the beer into the food as well. 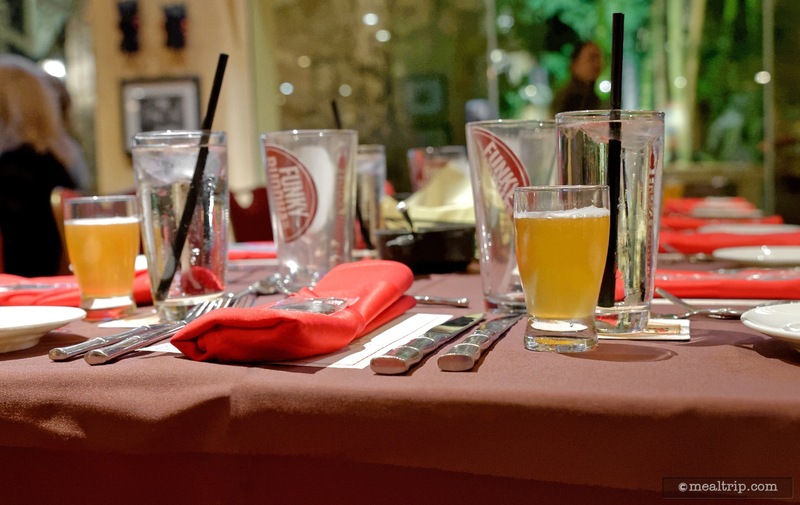 A brewery or distribution representative is generally on-hand to present and answer questions about the beers in between courses, and the chefs do make themselves available if there are any food and pairing questions. Each of the events is a little different because no two brewery's make the same beer! Any reviews or photos on our site are to give a general idea about what to expect. The events have followed a similar pattern with about the same general content at each of the events. There are passed hors d'oeuvres prior to the start of the event along with a house-beer sample in a reception area. Once seated there are generally four courses (with four beer pairing) along with an "amuse" course to begin the evening. Sometimes, there are little takeaways such as branded beer glasses, but that's probably more up to the brewery and not specifically part of the event. Figuring out when Jake's Beer Dinner takes place has been a challenge, even for us. It's not well advertised. Your best bet, is to find the event on Eventbrite.com (a third-party that sells tickets to the event) and signing up for notifications from that site. They are usually the first to have information about upcoming dates. 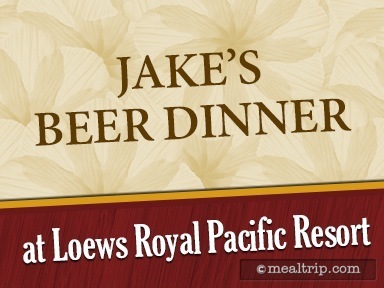 Jakes Beer Dinner is a great little event that takes place a couple times a year at Jake's American Bar, which is in the Loews Royal Pacific Resort. 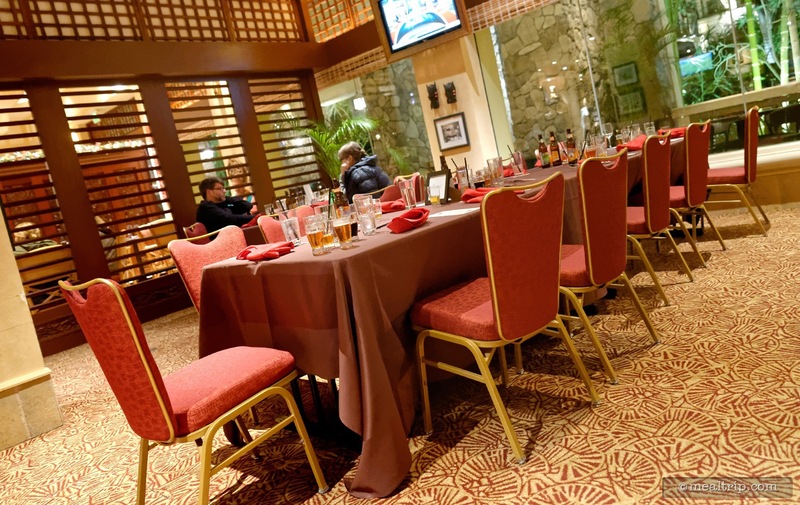 The popular restaurant has a private event space called the "Clipper Room" which can seat (by my best guess) between 60 and 80 guests. The format is solid... an invited brewery presents four or five beers and the chef's at Jake's create dishes that pair with, compliment, and/or highlight the charter of the beer. Ladies, if you've tried getting your guys to vertical wine pairings (unsuccessfully), here's your gateway event. Guys understand beer. You drink it, not sip it… but the chef's at Jake's do an amazing job with the visiting brewery and they even manage to infuse a beer or two right into the dish. Everyone comes away happy! 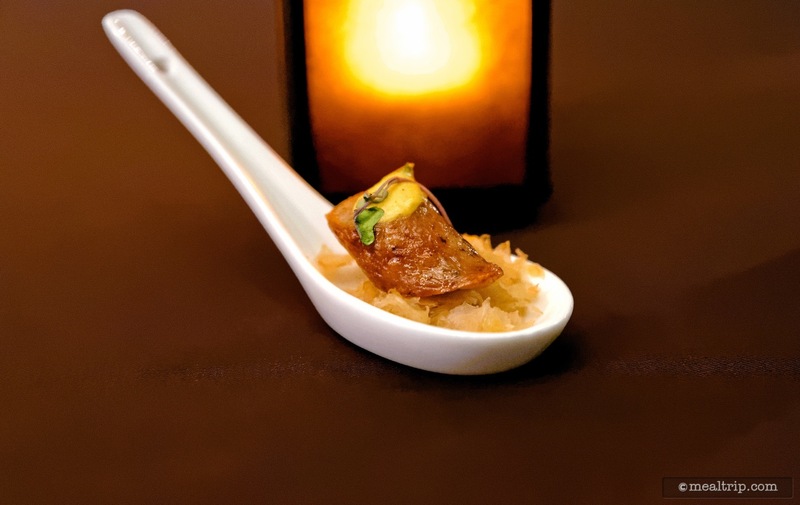 There are usually three courses, an amuse course and a dessert course, for a total of five beer and food pairing opportunities. 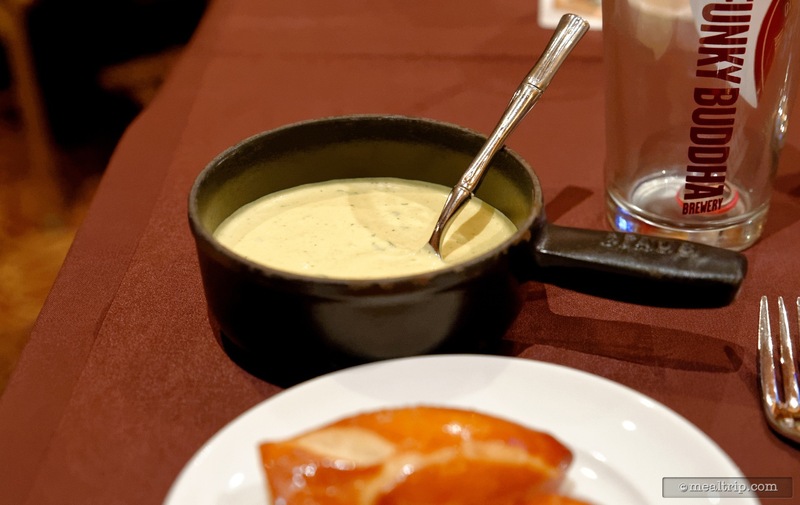 The three "official" courses are what I would call "medium plates", while the amuse and dessert courses are small plates… which is how it should be. Here's a tip though… make sure you show up a couple of minutes early. There's a standing reception area outside the front door of Jake's, and once you're checked-in, you'll be directed to that area. 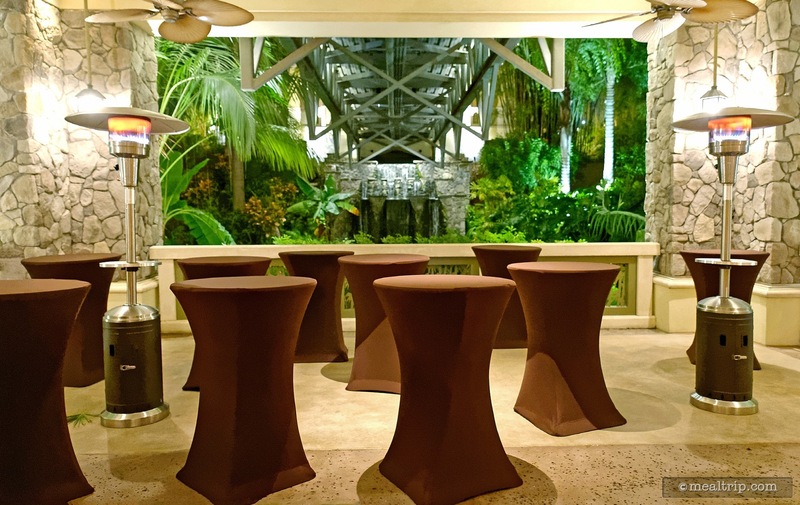 The cool thing is… there's usually a passed beer sample and some hors d'oeuvres before the event even begins! For each dinner, the visiting brewery changes... so naturally the beers and nature of the food changes a bit from event to event. On the dinner I attended (and therefore the one that's in our photo gallery here at Mealtrip.com), Funky Buddha Brewery supplied five amazing beers. When it comes to food and beer pairing, I'm a big Funky Buddha fan because they brew beer with unique and bold character. Everyone tasting Funky Buddha beers with food can join in on the conversation about the pairing (i.e. 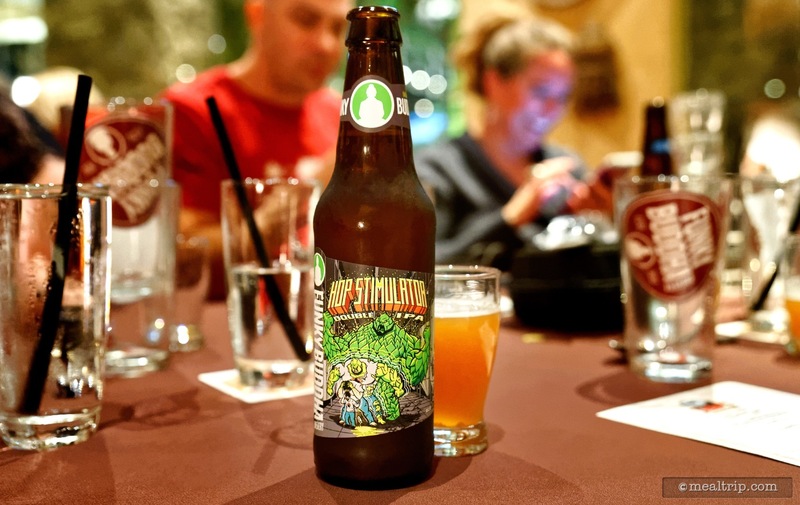 you don't have to be a Cicerone to tell the difference between Funky Buddha beers)… and that makes the communal nature of these dinners so much more fun. Seating is banquet style (so there's long tables with 10 or more chairs per table) and the event organizers try to seat larger groups first, so that everyone sits together. Technically, there's no assigned seating but everything seemed to work out okay on the night I attended. After the first beer or two, everyone gets more friendly anyway and you all did book the event… so there's a built-in commonality, which is an interest in beer. I don't want to get too deep in specifics here, because each Jake's Beer Dinner will vary depending on what beers the brewer wants to represent that night. 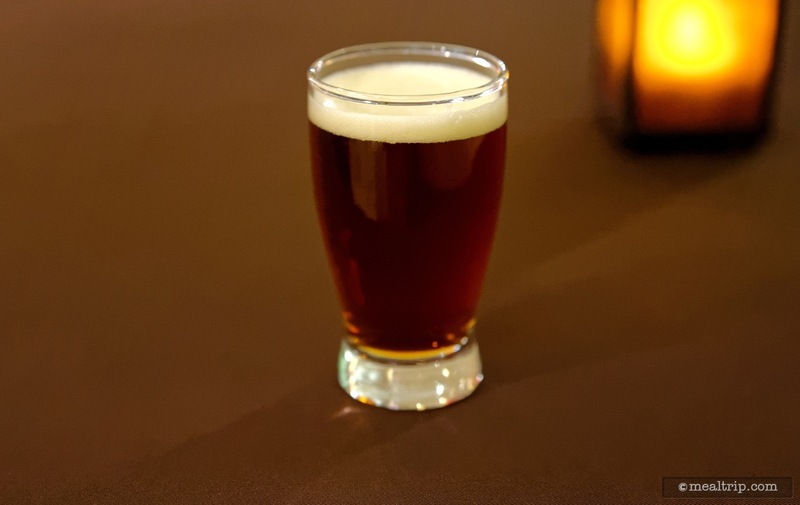 There were a couple of times that the chef's managed to infuse the beer into the course itself, and all-in-all I felt the food was well executed and perfectly in-line with the event. There's no "hickory smoke under glass" or "cucumber foam" here… the beer is about drinking and the food is about eating… without too much pretense… which is what makes this such a great event that you don't have to be a gastronome to appreciate. The beer sample glasses are probably five or six ounce glasses (the same sized glasses are used in the reception area out front… they are basically "flight" glasses) sometimes the beers are refilled, sometimes they were not. A few of the beers on the night I attended are only produced seasonally, and those were the ones that were not refilled… so it probably just depends what's most readily available. There has to be enough for everyone. I probably ended up consuming nine or ten flight-sized samples before the night was over, which was enough beer for me. Please… take a look at the Mealtrip.com photo gallery for this event (click here) and see what some of the food courses looked like! The photos are well captioned, and being able to see the food, tells a better story than I can with words. 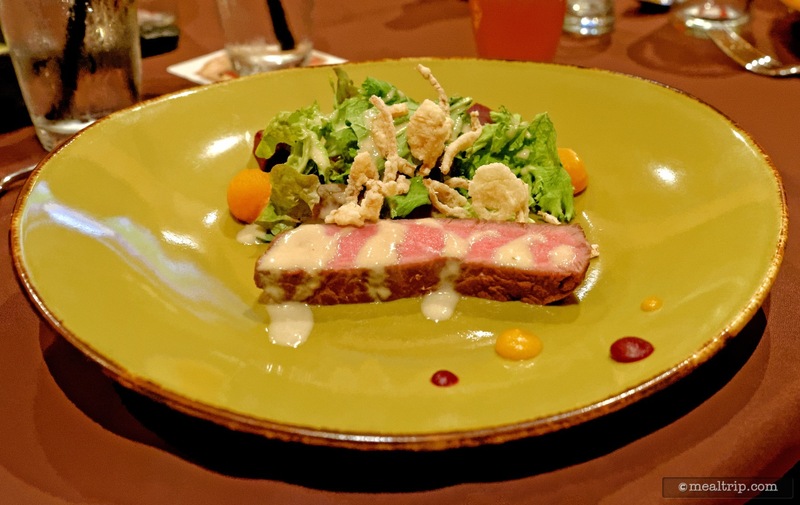 Based on the price of various other "resort dining events" in Orlando, I really was surprised and pleased with the execution, quality and quantity of the food items. I did not leave this one hungry or feeling like I didn't get my money's worth. While one of my favorite food courses was the "Amuse's" Cap Canaveral Royal Red Shrimp Cake with Florida Orange Salad and Sriracha Basil Tartar paired with Funky Buddha's crisp Floridian Hefeweizen… I think the one course everyone was looking forward to was the Whole Roasted Pig. 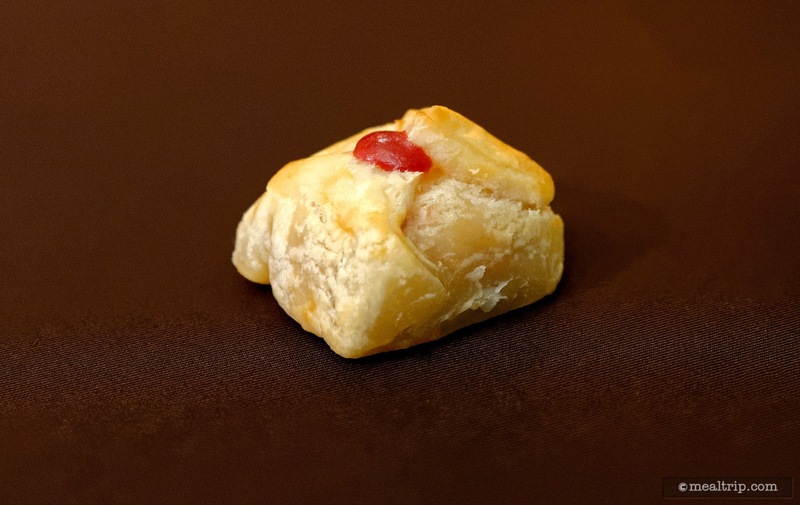 When they say "whole"… they mean "whole". We're talking about as farm-to-table as you can get. 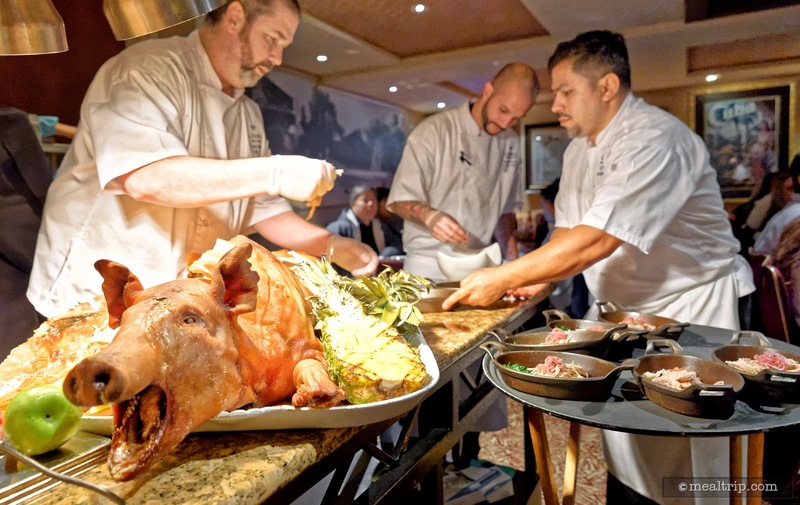 The third course's "whole pig" was brought out of the kitchen and pulled pork, right from the beast itself, was plated on-stage for all to see. If you like pork, but don't want to know where it comes (or happen to be a vegetarian), you may want to skip over those photos in our gallery. 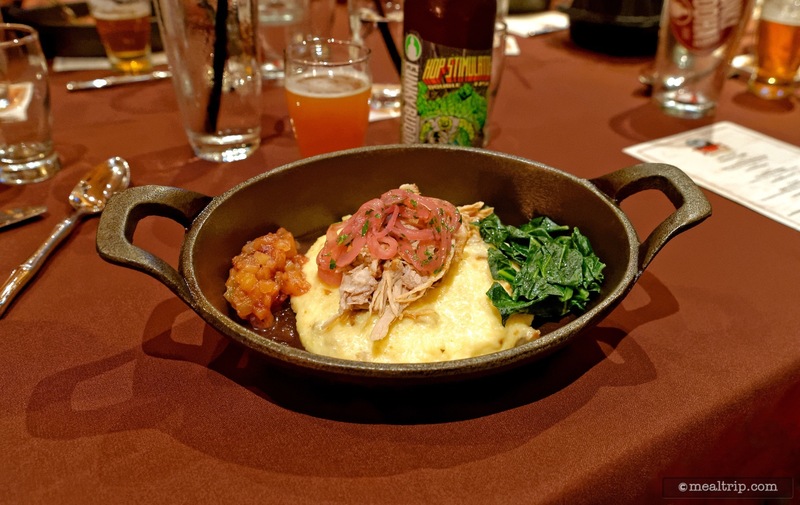 I must say, the Whole Roasted Pig served with Creamy Pancetta Grits, Collard Greens, Pickled Red Onion and Cranberry-Pineapple Chutney paired with Funky Buddha's Hop Stimulator Double IPA (ABV 9.5%) did not disappoint. It was visually stunning, and delicious. Frankly, it's hard to remember much after enjoying a beer with an ABV of 9.5% and IBUS 75 but the final dessert course was quite good as well. This is one of those courses where it would be really easy to "phone in" the dessert and just serve up some mass-produced bread pudding or something, but that was not the case. In fact, this was one of the more beer infused items of the night, took quite a bit of execution time, and was definitely not "spoon it on a plate" mass-produced. The Deconstructed Chocolate Pina Colada was served in a dark chocolate bowl (yes, the bowl was made out of chocolate)… and included Ginger Spice Cake, Pineapple Compote, Coconut Ice Cream and a Chocolate Sauce that was infused with the paired beer, Funky Budhha's "Last Snow Porter" which is a small batch beer featuring coconut and coffee undertones. I should also mention that this was a "presented" event and not just an "eat and leave" kind of dinner. Chef's from Loews and Jared Crowley from Funky Buddha were on-hand to present each course and beer as they were being served. They were both also readily available to answer any questions about the food or the beers in a very casual table-by-table work around the room format just to make sure everyone was having a great time. There were a couple of take-away gifts here and there, although I'm sure that has more to do with the brewery and not "Jake's" so much. Each guest on the night that I attended got a Funky Budhha logo beer glass, and a sticker. I also came away with a large well-crafted bottle opener while others had a foamy bottle protector. I'm sure the invited brewery has a lot to do with how enjoyable the pairings are. As I mentioned earlier, Funky Buddha doesn't just make different colored beer, they make different tasting beer… and so that was a big draw for me. There's no doubt in my mind that the food is executed at the same level for each of Jake's Beer Dinners though. I have seen quite a few of the menus over the years and they follow a very similar format. 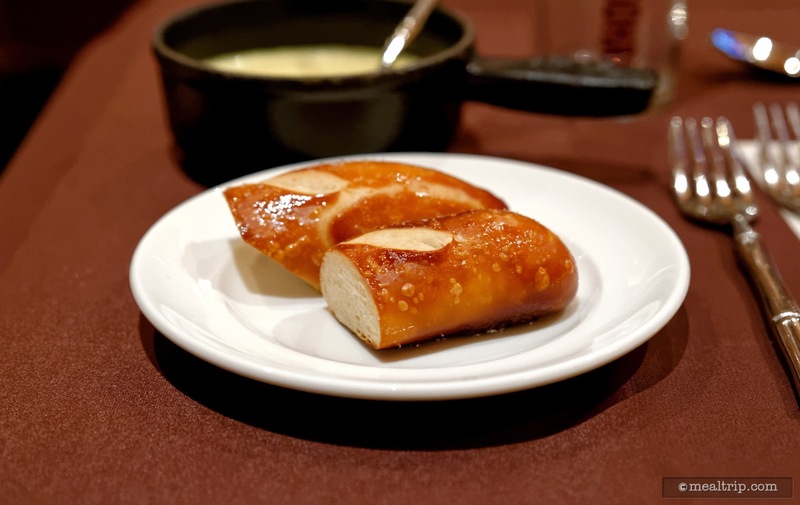 Jake's, is a decent place to eat in it's own right and giving the chef's a chance to do something a little different is as fun for them, as it is for the guests. 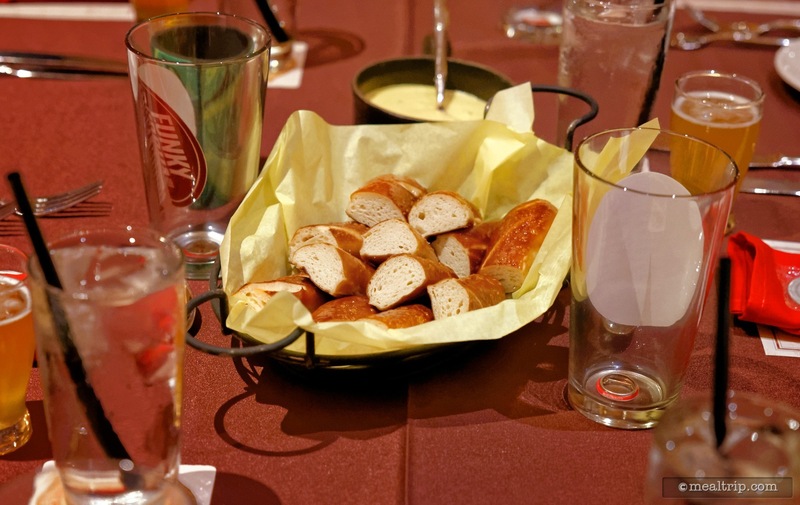 I give Jake's Beer Dinner a "Must Try" for sure. At the current cost of $55 (plus tax, as of spring 2017), it's actually quite a good deal when compared to other "theme park resort" offerings in Orlando. If you want to attend the next Jake's Beer Dinner, it's probably best to sign up for notifications from the Eventbrite.com site (a third party company that sells tickets for the event). The Universal site itself, doesn't get updated frequently enough for me to make plans to attend. The Loews Royal Pacific Resort also has it's own Facebook page which might be another good source of information about when Jake's Beer Dinner takes place. CLICK HERE to view all 48 images in our photo gallery.